taking up the thread of sunbathinglizard’s little journey through da hip and da hop…where we were? doom, armageddon, the dark side. and what do we think of when hearing that and hip hop? wu tang clan, most will say. yeah, that would fit. but then you get enough wu on the net – i don’t feel it necessary to add anything to that. but i am thinking of something more…leftfield. i guess for the regular reader of this blog this does not come as a surprise. but then you are not here to encounter stuff you already know, i hope. so what am i thinking of? i am thinking of wordsound. wordsound is a brooklyn, n.y. based label with a cool logo that publishes music that is for the most part on the darker side. a friend of mine described it once as “a warm and friendly armageddon” – again impending doom is obviously no reason to get all excited and that. but once more it seems to be a good reason to make some outstanding music. in the beginning wordsound was actually perceived as a dub, or better: neo-dub label. for the ones not knowing what dub is: it is the slow and spacey offspring of reggae. in the last years it developed into and influenced many musical forms, for me most notably in electronic music – from dubtechno to yeah, dubstep. but this post is not about dub (i guess some time i will have to do some posts about dubby sounds… yeah, the list of topics to cover just grows steadily). but then wordsound always crossed the borders of dub – sometimes into the direction of drum ‘n’ bass (dr. israel), and quite often into hip hop territory. a very different kind of hip hop – the opposite of slick, flashy, glitzy hip hop – it is warm, muddy, darkish hip hop. but even in its warmness it very often also transports the feeling of a certain paranoia underneath – of impending doom. but don’t be scared: most wordsound releases are very listenable – and well worth discovering. but then there a other blogs with a lot of taste – meaning you can grab not only vol. 2, but also vol. 1 & 3 over at the musical coco basket. and yes, i would be interested in vol. 4, too. 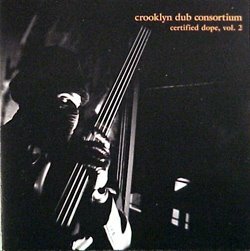 at the musical basket you’ll also find more wordsound records, especially two records of the overlord of the underground spectre with his unique brand of dark, de- and re-constructed hip hop – one of the great artists of underground / experimental hip hop in my humble opinion. and an additional record by spectre you’ll find over at double avenue. additionally double avenue also upped two records by prince charming, better known as prince paul – this i recommend especially for the more psychedelic inclined of you. so what should i post from the wordsound catalogue? sensational would be now the logical thing – after all he delivered one of the best opening lines for an album: as i arrive on the bassline… plus he just published a new album (which i unfortunately haven’t listened to, yet). but then i had to find out that i stored his records away – aaargh. so i am posting here something that is not really on the, or not only, on the hip hop side of the wordsound catalogue. and it is also not that dark – it does stand somehow a little bit apart. on the other hand i guess such a record was maybe only possible to do on wordsound… and although i present it here like something of a last exit, it is actually one of the best records i have. now let that sink in. 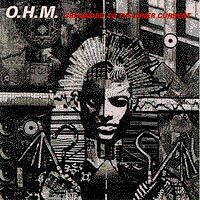 o.h.m.‘s grounded to the inner current is a record that for me is nearly a hörspiel, something of a concept record in the sense that it sounds like you are strolling through different neighbourhoods in a city in summer. you have your headphones on and are listening to beats that mysteriously mix perfectly with all the different sounds blaring out from windows and shops: snippets of people speaking, hornsections, eastern influenced sounds, noisy screeching guitars, salsa bits, and a lot more. sounds like a mess? it is, but one like a big river, taking all kinds of stuff with it but connecting them in its powerful flow… and this record, after that many times i listened to it in many different places and situations, still lets me travel in into different places and evoking different moods from darkness to euphoria, sometimes changing within the blink of an eye. yep, this record is indeed a masterpiece. let that sink in, too. and now get it here. i ripped it as two tracks (side a / side b) @224 from vinyl. the tracklist is included. enjoy! unfortunately i do not know if and if yes what k. bennu (the person behind o.h.m.) made after that record – if anybody knows more, let me know. on the other hand i am also fine with leaving this record standing rather solitary in the musical universe. it deserves it. so you should have with this post a little introduction to the special sonic universe of the wordsound label. now head over to their website – there is a lot more to discover, and yes, they also sell music online (since finding their cd’s and vinyl’s might prove difficult, unfortunately).